Here are a few reviews for El Portal, the pet friendly Sedona hotel! These reviews are from TripAdvisor.com. We’ve been to Sedona on many occasions, and have probably passed by El Portal several times. We won’t be passing by again – we’ll be staying! Adjacent to Tlaquepaque and just before the driveway to Los Abrigados, El Portal’s location is easy to find and very convenient. Easy walking distance to Oak Creek Brewery, and a bit further to Shugrue’s Grill. Stay on site for the breakfasts in the main lodge area – and bring your well-mannered dog. Our giant dog was welcomed everywhere (except the center lawn area). The “host pup” Boomer provided gracious but not overwhelming greetings. Room conditions were very nice – we were in Suite #3, which had a small private courtyard. Whirlpool tub, large shower with excellent water pressure, and all bathroom amenities provided. Steve and Connie were welcoming, courteous, and warm. We will be returning in the future! 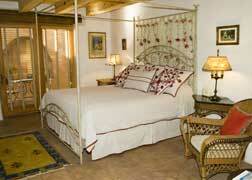 So if you’re looking for Sedona accommodations, look no further, El Portal Sedona Hotel is the place for you! Call 1-800-313-0017 to reserve you room today!